We are a 71 year old locally owned full time transportation Center. We offer one on one sales experience backed up by a full service finance and insurance department. Or GM lines are Buick and GMC, the best that GM has to offer. Berthod Motors has an ICAR certified body shop. Our body shop is a preferred provider for nearly all of the insurance companies because we employ state of the art paint and body techniques. Our service department is one of the reasons we have 70% repeat and referral sales. 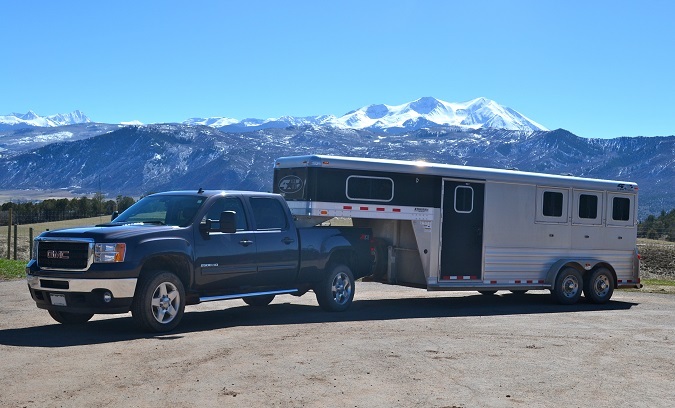 2013 GMC from Berthod Motors pulling a 4 Star Horse Trailer.